Banded birds migrate south for the winter, and visitors can encounter them during migration season. Over 4 billion birds in North America have taken to the skies, or will shortly, for their annual migrations to warmer weather. Bonaire is an important over-wintering location for many of these birds or a resting stop on an even longer journey southward. 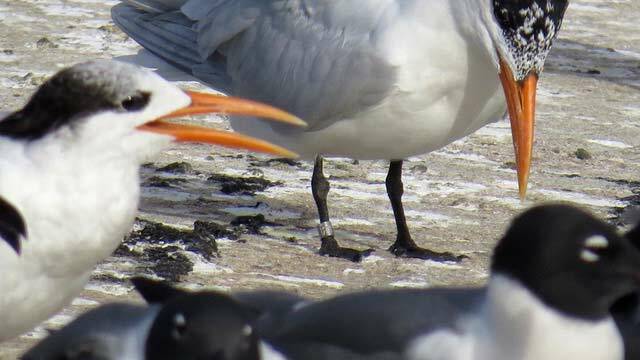 Those human visitors who keep their eyes open can easily find many of these migrant species, even while lounging on the beach in front of their oceanfront resort. Just as Bonaire’s sea turtle researchers like to track Bonaire-born turtles, bird researchers in North America also find that learning more about the migration habits of their summer-residing birds can add to their knowledge base and assist with more protective measures, something that is important for many animal species around the world as the world becomes more and more developed. Unlike Bonaire’s turtle researchers, they cannot attach a satellite transmitter, as these migrating birds have exceptionally long ways to fly. Instead, the way to track these birds is to band them when they are very young, and then hope that citizen scientists will help with logging sightings over the years. Bonaire visitor, Dave Duncan, answers that call. 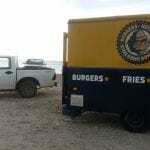 Dave Duncan is a frequent Bonaire visitor, heeding the same call as our migrant birds to return to Bonaire each winter. While here, he has seen birds with leg bands, and he began to photograph them to try to learn more about the individual bird’s history. Over the years, and with the help of his trusty Canon SDX50, he has managed to document a variety of birds, and has even seen the same bird returning year after year! What sort of history can be found about a banded bird’s life? Ruddy Turnstones are very gregarious little shorebirds, and if one stays quiet, they may approach quite closely. Have your camera ready to try to get an image of the band the bird wears. Reporting your sighting of a banded bird on Bonaire. But learning about the history of the bird’s life isn’t enough. When finding a banded bird, one must take the next step and report it in the location where it was seen. 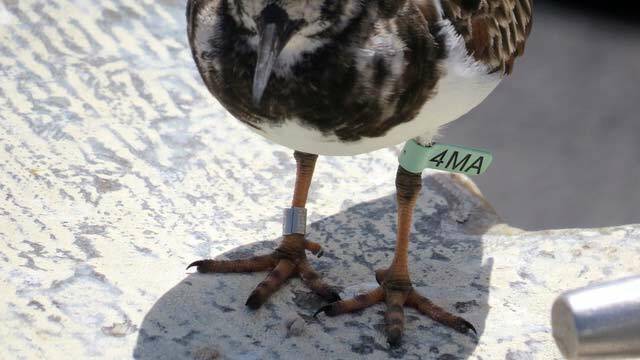 To report a banded bird you have seen on Bonaire, simply visit the USGS Bird Banding Laboratory. 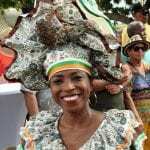 The online form is available in English, Spanish, or French. Your good deed does not go unnoticed. 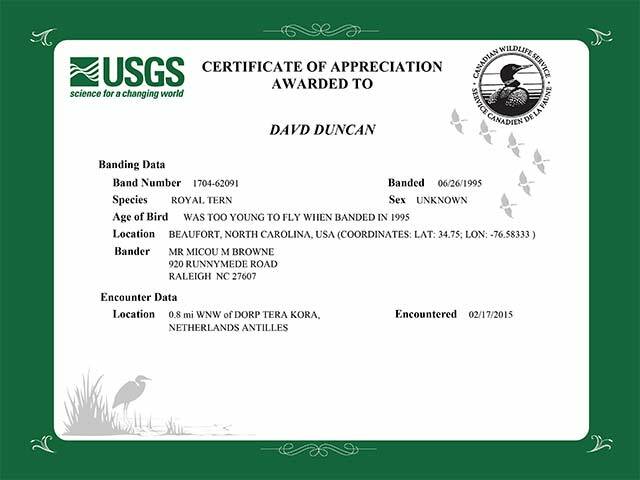 Once reported, you can request a certificate of appreciation such as the one Dave received for his 20-year-old tern sighting. 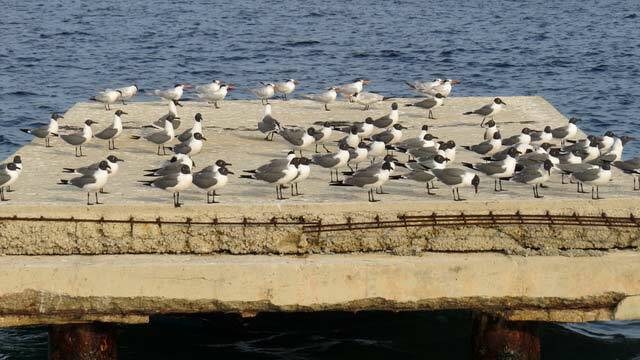 What is the best time of year for sighting banded birds on Bonaire? From August through October migrant species will be traveling south. From February through April, these same birds will be heading north once again. These are prime times to view birds which make a stop on Bonaire for a little rest and relaxation before continuing their journeys. However, many species will spend the winter on Bonaire much like the human snowbirds who want to leave winter behind, and thus from August through April, there are good opportunities for sighting migrant birds. Simply keep your eyes open whenever you are on the shore. Global Big Day is this Saturday, October 6, 2018. And there is no better time to begin your quest to find a banded bird than this Saturday during the fall Global Big Day. Every year for the last four years Global Big Day has set new heights for a single day of birding. This massive international collaborative birding event has been so great, plans are now in place for another worldwide eBird Big Day on Saturday. 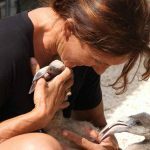 If you are on Bonaire, get out and bird on Global Big Day and help put Bonaire on the world birding map!